Cape Town – SABC2 channel head Gerhard Pretorius admits that the umpteenth new SABC2 schedule change that kicked in this week is because viewers "find it difficult to find spaces where they actually belong on the channel" and that SABC2 had made some wrong schedule changes since 2014. 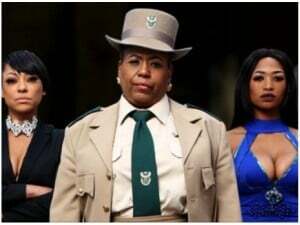 Speaking on SABC2's breakfast show, Morning Live, Gerhard Pretorius also indicated that similar to SABC2's latest schedule shake-up, another big schedule change is looming for sister channel SABC3, the South African public broadcaster's only commercial TV channel. On Monday 6 February, the South African public broadcaster's second largest TV channel introduced yet another new and reshuffled prime time schedule. This is the SABC channel’s third big TV schedule change in a year, not counting the temporary AFCON 2017 schedule disruption, and SABC2's sixth big schedule adjustment since mid-2014. In June 2014 SABC bosses in an internal memo called SABC2’s schedule “schizophrenic”. "What I think was confusing in the past – and this is part of why we're changing – was audiences find it difficult to find spaces where they actually belong on the channel," said Pretorius. Exactly as Channel24 in January reported SABC2 is working on and will be happening with the latest revised schedule, Gerhard Pretorius said "We decided to create a little bit more of a block of Afrikaans content and a block of lets call it Sotho content later on in the evening". "It's a bit of a revamp, things have moved to different slots; to cater for when audiences are available." Speaking about the disastrous move when the SABC tried to move its Afrikaans content from SABC2 to SABC3 in July 2014 but then back again after five months in late 2014, Pretorius said "the mistake that we might have made was just to recommission the content that sat there." "So what we're doing now is we're going to try to, every 13 weeks in a slot there will be a new offering. It might be sort of an old title that you remember, but it’s a new series. Alternatively there will sort of be a new title. So we're trying to keep it vibrant." Gerhard Pretorius said "we're going to play differently on SABC2". About the latest SABC2 schedule shake-up he said "we all have our own tastes. I would prefer to have drama between 18:00 and 22:00 every night. You might like cooking between 18:00 and 22:00." "We need to cater for 50+ million people out there. It's very difficult. And then we have licence conditions. We have to broadcast so many hours of this during the week in prime time.We have to broadcast almost 20 hours of languages other than English in prime time." "But we listen to our audiences," said Pretorius. "And obviously there's sort of going to be a big response to what we're doing now." He said "we have made a few changes since 2014 – not always maybe the best changes. And when you make changes it takes about three to four months before the audiences settle again”. "The (production) industry out there, they're so busy, assisting us (SABC2), assisting SABC1 and longterm SABC3 – because they're going to change a bit later – to get all this new stuff that we need on air," said Gerhard Pretorius.